Happy Labor Day everyone! Today we are heading to a barbecue and enjoying these glorious cooler temperatures that have arrived in southern California just in time for the holiday weekend. 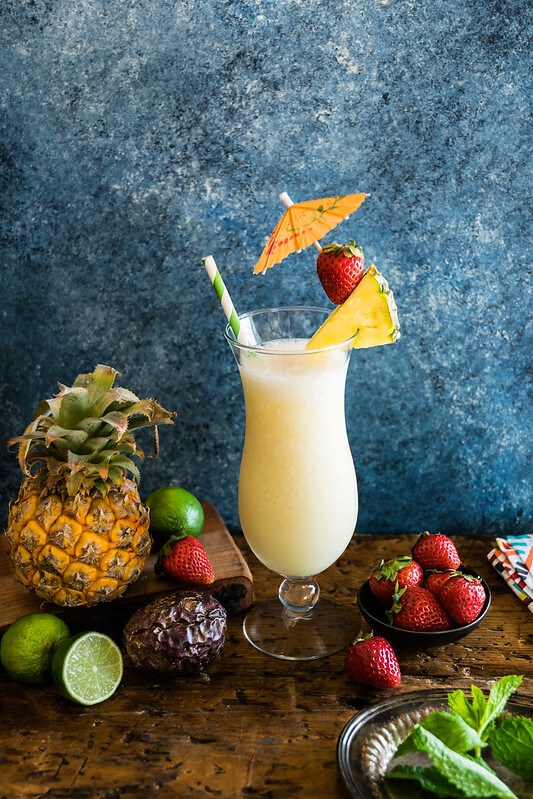 But before we go, we had to share a delicious tropical cocktail for all your last-minute party-planning needs, a refreshing twist on the piña colada. It is incredibly easy to make and literally takes just thirty seconds in the blender. 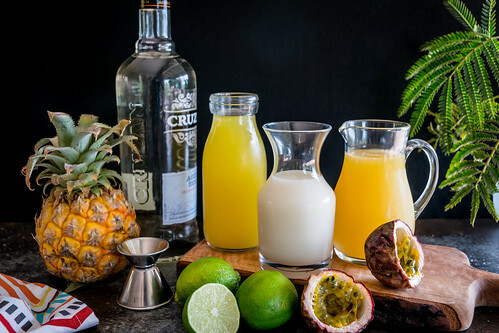 Here, light rum is mixed with cream of coconut, pineapple juice, passion fruit puree, freshly squeezed lime juice, and blended with ice to make a creamy and refreshing beverage inspired by the Puerto Rican classic. 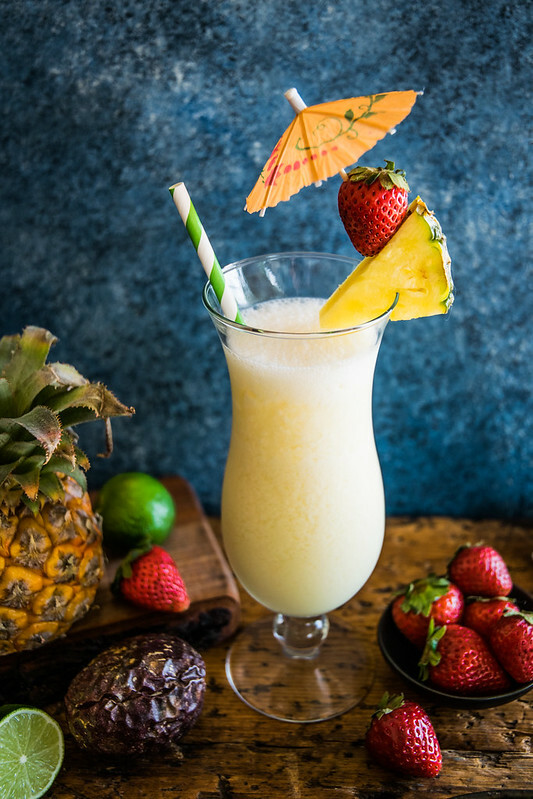 Garnished with a strawberry, a slice of pineapple, and a colorful paper umbrella, the only labor you’ll need to do today is print out this recipe and plug in your blender! 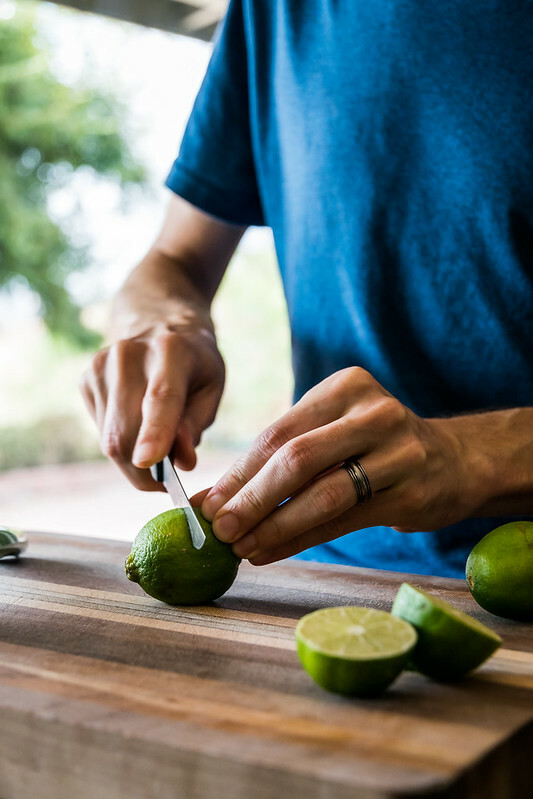 Combine all ingredients in a blender, and blend briefly until smooth. 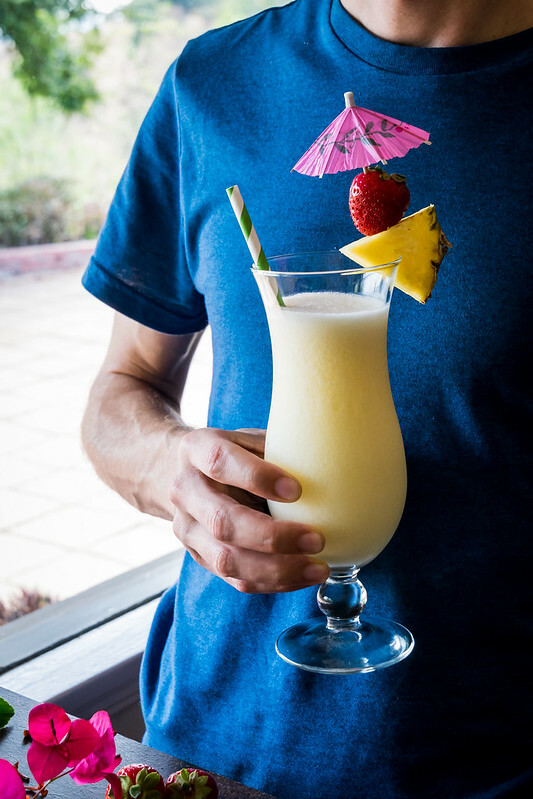 Garnish the glass with pineapple slices and cherries as desired. Cheers, and enjoy! 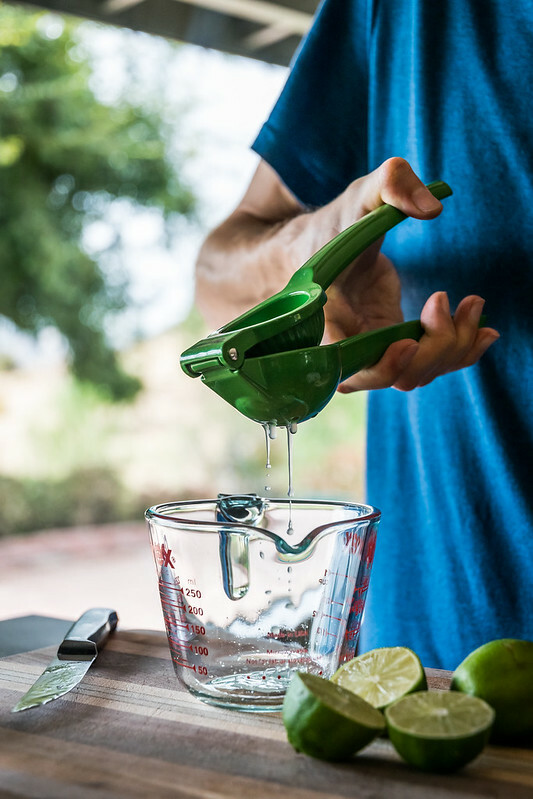 — This makes one serving, but you can easily make multiple batches at once in the blender. 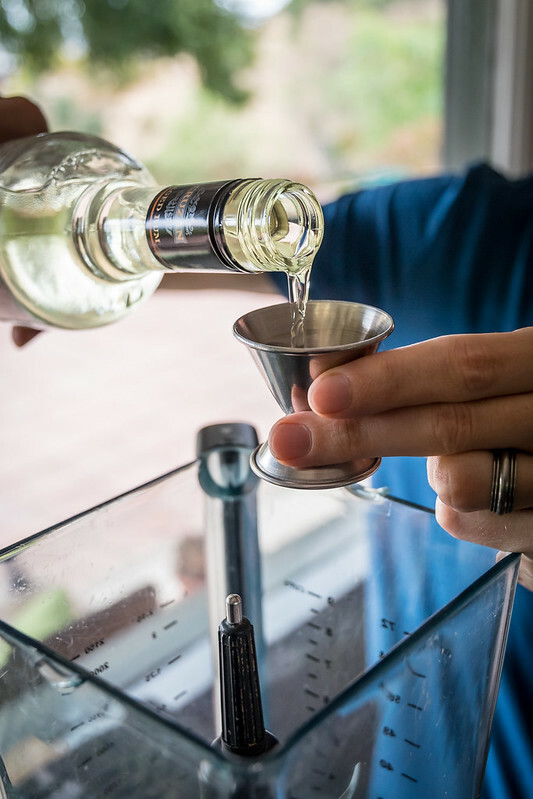 Depending on the size of your machine, you can probably make up to 6 or 8 drinks at one time. 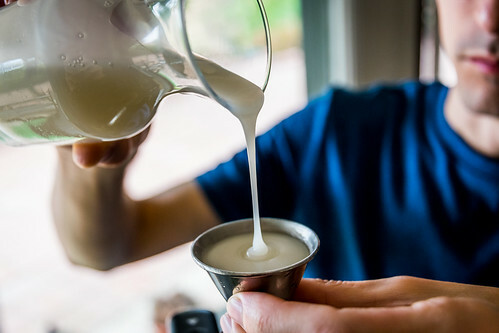 — Cream of coconut is a sweetened product used for making cocktails. It is different from coconut milk and coconut cream, both of which are usually unsweetened. You can find cream of coconut in the cocktail section of many grocery stores or online.